There’s one thing that’s always been bothering me about the introduction of ChibiUsa and, by extension, the introduction of the setting behind Crystal Tokyo and its monarch, Neo-Queen Serenity. I don’t mean “bother” in a bad way, of course. More like one of those niggling1 little doubts that always seems a bit off. 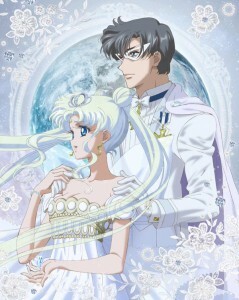 In a series that is ostensibly about female empowerment, contains many female leaders (Queen Serenity, Queen Beryl, Queen Metalia, Neo-Queen Serenity, Sailor Galaxia… I could go on), and stars a main character that is infinitely more powerful than her romantic interest and male counterpart, why did Ms. Takeuchi decide to have Usagi give birth to ChibiUsa and assume the throne as Neo-Queen Serenity at the age of 22? Before we can comment on whether this is even noteworthy or not, though, we first need to take a look at what Japanese society was like in 1992 when it came towards marriage and childbirth trends. In 1992, the average age of (first) marriage for Japanese women was 26.0 years old2 while the average age of the mother for her first childbirth was around 27 years old.3 Though not unheard of, mothers between the ages of 20 to 24 made up just 15% of the total births at that time. So we definitely know, from a Japanese society stand point at least, that Usagi being married and pregnant at 22 would definitely be outside social norms. The next obvious question, then, is if there’s something significant about the age of 22. The age of majority for the vast majority of the world is 18,4 though under Japanese law Usagi would have been an adult at 20. Though the US (and other countries, I’m sure) have staggered ages of gaining rights – such as drinking at 21 – in Japan everything is 20 with the exception of driving, which is at 18 years of age. But, that’s not to say that something interesting doesn’t happen when Usagi hits 22. Something that, in fact, actually plays into Ms. Takeuchi’s tale of female empowerment: the average age of graduating from university in Japan is 22/23 and is the age when a student gets a job and enters into society – a so-called shakaijin (社会人; a full-fledged member of society).5 Considering that Usagi is 14 years old and in the eighth grade at the beginning of the series, that would put her in her senior year of university when she was 22 (and graduating the following spring, at 23), assuming that since she gave birth to ChibiUsa on her birthday we take her age prior to the birth and not after (giving birth on her 22nd to 23rd birthday and not her 21st to 22nd – wow Sailor Moon is complicated!). By putting Usagi’s official age of becoming (Neo-)Queen of Crystal Tokyo at 22, this means that she very well may have attended university and also avoids the awkwardness of her having taken some boring office job (human resources? business development??) prior to assuming her position as rightful heir to the throne. And that, right there, may be one of the biggest reasons for the choice behind Ms. Takeuchi picking 22 for the age when Usagi becomes queen (and has ChibiUsa). Assuming a relatively normal timeline – which the manga did a much cleaner job of than the anime – that would mean that the beginning of Crystal Tokyo would be in the year 2000. When you think back to all the hype going on for Y2K in the late 90s (and the end-of-the-world theories throughout the late 20th century), this makes a great choice for the beginning of a new king… queendom. Read also: What Book Was Mamoru / Endo Reading When He Was Possessed? Taking a look at it from this perspective, it actually makes quite a bit of sense for Usagi to be 22 for all these major life changes. Though the university part is all a theory on my part, I’m glad to see the possibility that Usagi did pursue further education… and also avoided having to suffer through a nine-to-five day job! ← What’s the Significance of Ami’s Parents Being Divorced? Possible that it’s also about the audience – when many of us were watching Sailor Moon for the first time, 20-something already seemed old, 30 was incomprehensible/ancient/not how we could picture our hero? There’s actually book published in Japan on that very idea! It talks about how Sailor Moon fans, now 30-somethings, are having to confront being an age which their childhood heroes called “ancient” or “an old hag.” That’s definitely part of it, I think. Correct me if wrong, but isn’t Usagi supposed 13 years old at the start of the series, then turn 14 on June 30, 1992. I thought the manga and anime were inconsistent when it comes to the timeline, mostly the anime. She starts out the series as 14 in both the anime and manga, in fact I think that’s the opening line in both! And pretty much every episode after that, too! I thought the 22 is JUST because of the change 1999 to 2000. Not because of university and anything. Other animes played on this, too. As baka as Usagi is, I highly doubt she would ever consider university, especially as her only dream was becoming Mamoru’s bride. It also totally fits with her inability to hand-write normal late elementary school kanjis. What I’m more interested in knowing us actually how a girl her level ever got the skill to suddenly reign not just a city but the whole world. 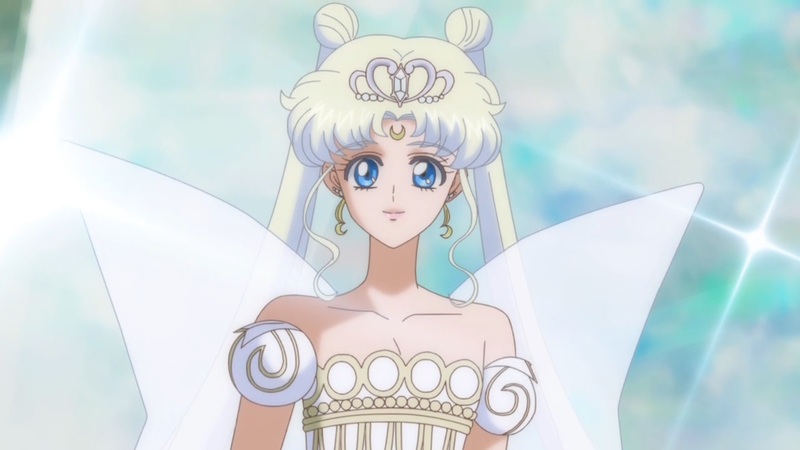 I’m intellectually above her (not that’s that difficult) but if suddenly somebody told me I should become world queen, I’m sure I AM SURE I’d do everything but a good job as Neo Queen Serenity apparently has. I’d expect the world become a chaos with our beloved Usagi at the top. But it doesn’t. So what happened? Did her mind merge with Queen Serenity or so? To be fair, it’s not like Usagi/Serenity was ever actually “elected” as queen. =D She may actually be a really awful queen. 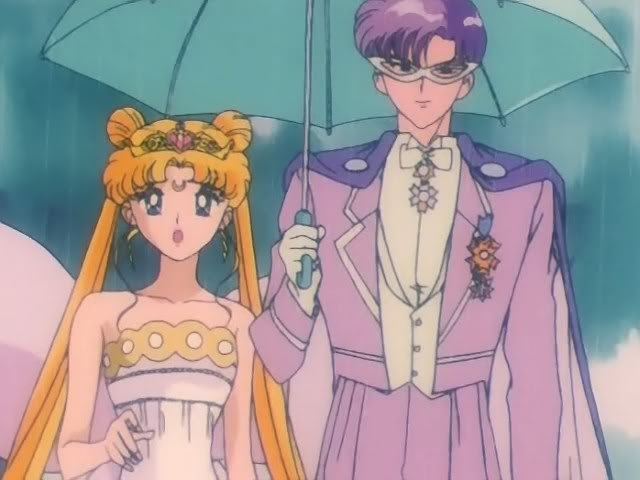 The people of Crystal Tokyo are probably just saved by Ami, Mamoru, and the rest of her Sailor Team acting as “advisors” that keep her from making awful decisions. This is why I also came up to a fan theory that Usagi took up probably, Industrial Psychology, Business Administration, or Political Science in her college, in preparation for her unescapable future as a Queen. Haha. Did she give birth to Chibi Usa a year after becoming queen? I know Stars sort of implies that she did…or possibly even younger, but if Black Moon takes place in the 30th. century and Chibi Usa was 900, I’d have thought she was born much later. Or maybe I have something wrong? I’ve seen all the SM episodes and seasons (except the newest Crystal Tokyo). One thing I do not understand. When Chibiusa comes into the picture, Usagi and Mamo-chan meet/see their future selves, how does Usagi from our time come to be queen of Crystal Tokyo in the future. Is everyone immortal so to speak or are they just reincarnated. Hopefully someone understands my question, I probably didn’t work it well. It just as always bugged me. Their future selves 300 years into the future, how do they get to become ‘them’? The 2000 date also works in terms of Chibiusa’s birth, in terms of the manga anyway. In the Black Moon Arc, King Endymion states that Chibiusa is 900 years old. And she comes from the 30th century, which would be the 2900s – in other words, 900 years later. 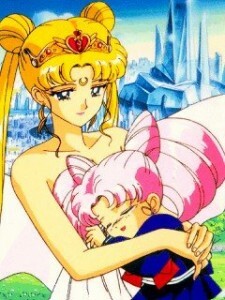 (Chibiusa is also seen celebrating her 902nd birthday in one of the Chibiusa Picture Diaries later on).